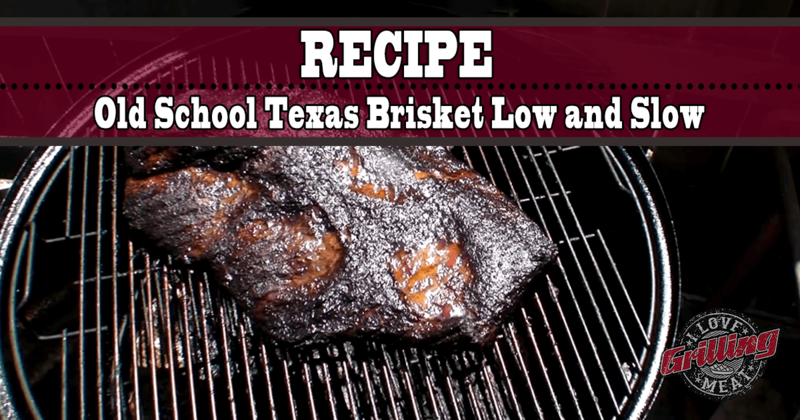 An old school Texas brisket recipe that takes everyone’s favorite cut of beef to a higher level. Do this cook this upcoming weekend and you’ll discover the pay off is rich, flavorful meat that’ll make their mouths water for more! To get started, trim and clean up your brisket if it did not come prepared from your meat provider. Trimming a brisket is a completely different art form, but definitely something you could (and should!) learn to do yourself. If you want to get some good pointers, check out this guide on how to Trim a Brisket for BBQ Competition. Once you have your brisket trimmed and ready, it’s time to marinate it. Place the brisket in a food grade ziplock bag, and pour in one bottle of marinade, or enough to cover it on all sides. The brisket doesn’t have to “swim” in marinade, it just has to cover the surface if you turn it around and massage it through the bag. Place the bag in the fridge for a minimum of 6 hours, with a preferred 12 hours. Turn over every 2-3 hours. Time to fire up the smoker! Get your set up to a stable temperature of about 225ºF, using the smoke wood of your preference. In the meantime, get the brisket out of the fridge and season liberally with any beef steak seasoning you love. Give it some time to work its magic on the meat while the smoker is heating up. Finally, place the brisket on the smoker, set up a thermometer probe to monitor core temperature, and close the lid. This cook can take anywhere from 14 to 20 hours, so make sure you have enough fuel lying around and enough alarms ready to wake you up throughout the night. Now simply maintain the temperature until core temperature hits 200ºF, or until the brisket passes the toothpick test. After it’s done, rest for 20 minutes before slicing. Enjoy your old school Texas brisket! Smoked Brisket: To Wrap Or Not To Wrap? My come to place for all my grilling needs. I love the recipes and the detailed how to videos. If you are truly a pit master this is the great place to hang out. Thanks for all the awesome info and research for making grilling more enjoyable. Now go fire up the grill and let the thrill begin. Thank you for the feedback Warren, we appreciate your being part of this community!